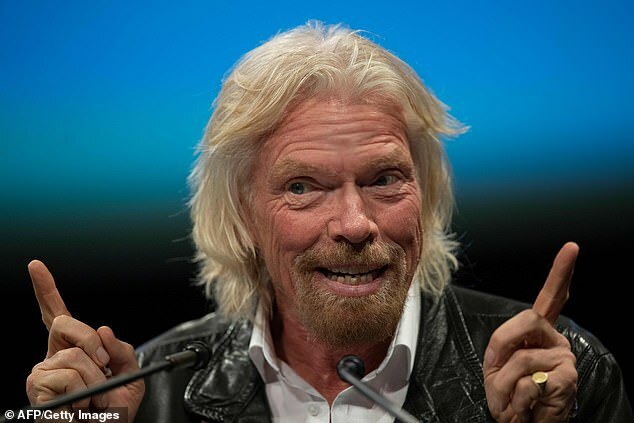 Richard Branson claims he wants to travel to space within the next four or five months aboard his Virgin Galactic spaceship. The British entrepreneur says that he hopes to make his first voyage coincide with the 50th anniversary of the first moon landing in 1969. He also claims that the spaceflight company are still on target to send tourists into on short 'suborbital' flights by the end of next year. Speaking at an event in Washington, he said: 'My wish is to go up on the 50th anniversary of the moon landing, that's what we're working on.'. The American Apollo 11 mission landed on the moon with Neil Armstrong and Buzz Aldrin on July 20th, 1969. Earlier this year, the 69-year-old said he is training hard for the mission, and told CBS that his 'aim is to have the body of a 30-year-old' when he goes to space. 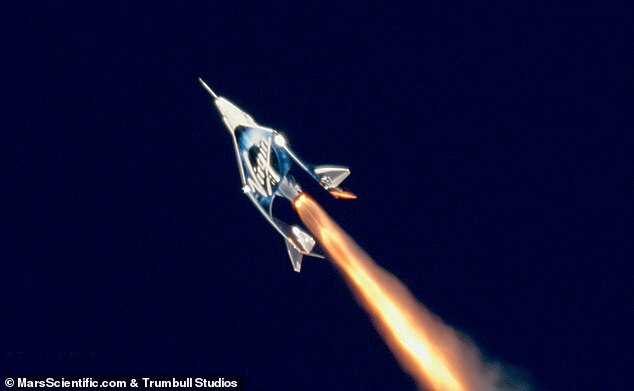 Virgin Galactic is working along with Blue Origin, owned by Amazon founder Jeff Bezos and Elon Musk's SpaceX company towards the same goal of being the first to send passengers into space 'by 2020' in a new type of race dubbed the 'billionaire space race'. The companies want to send people on these short suborbital flights, meaning they wouldn't get high enough to orbit the earth. 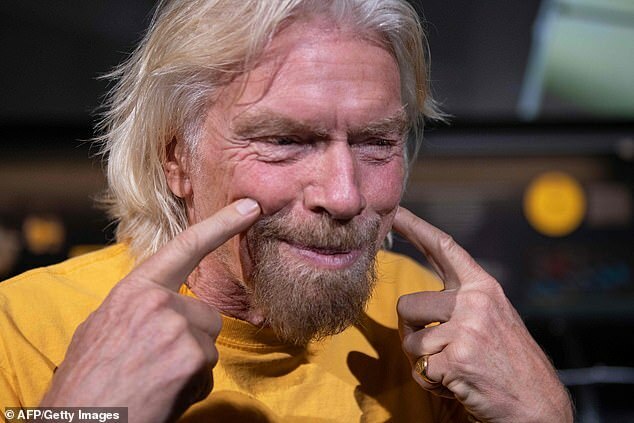 Branson has previously announced dates for this first trip into space, though many have gone by without voyages happening. 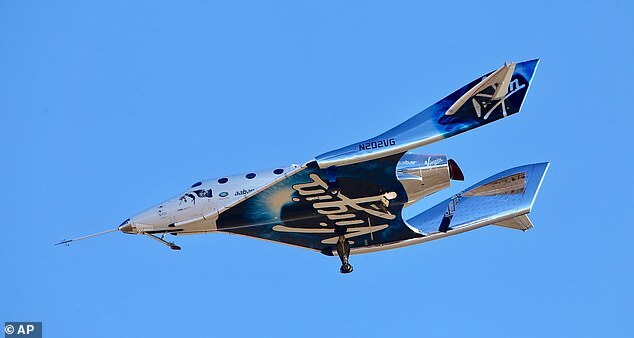 In 2013, he declared on a radio station that a Virgin Galactic space flight will be on Christmas Day 2013, and he will be on board. 'Maybe I'll dress up as Father Christmas,' he joked. Christmas day 2013 came and went without this flight or a sighting of the billionaire in a Santa suit taking place. In October 2017, he told a Finnish business conference that the craft would be in space in 'about three months'. 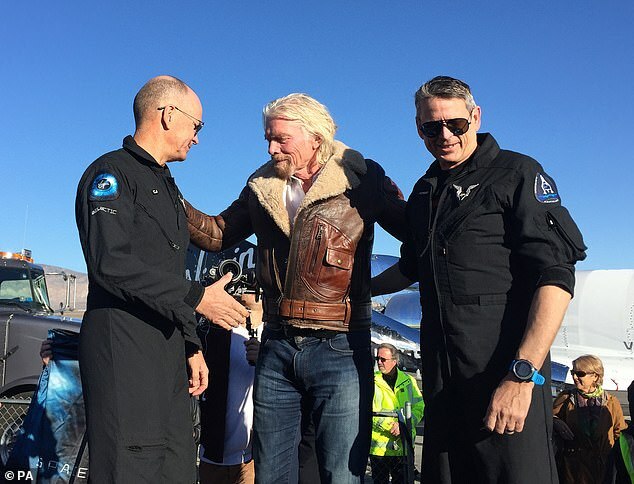 Last year, the unmanned Virgin Galactic SpaceShipTwo reached the edge of space for the first time, in a milestone accomplishment for Branson's space tourism endeavours. 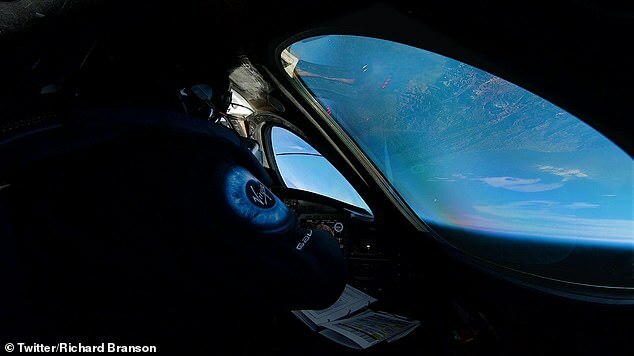 The craft reached a boundary more than 50 miles above Earth for the first time, after blasting off on a critical flight test in the Mojave Desert. In any case, the achievement puts Virgin well ahead of its competitors - Elon Musk's SpaceX and Jeff Bezos' Blue Origin - who have yet to carry crew to a point so high using their passenger craft. 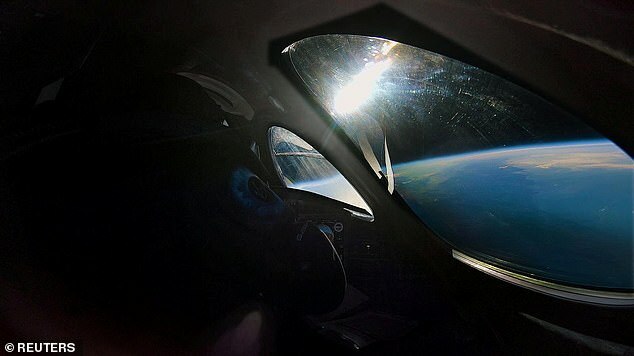 Mike Taylor, of the Spaceflight Programme at the UK Space Agency told Mail Online: 'We are in a new commercial space age, where entrepreneurs not only fuel the imagination but inspire investment. 'The space sector is a great British success story and we are working closely with industry to ensure we can take advantage of exciting commercial opportunities. 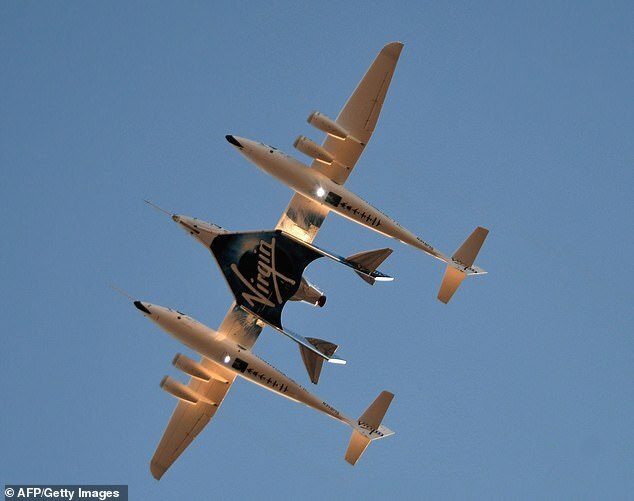 Branson is in a race with SpaceX founder Elon Musk and Amazon CEO Jeff Bezos to be the first to send paying tourists into space. His new claims time the businessman claims preparations are in their final stages. 'By July we should have done enough testing,' he said. But he doesn't want to make any promises he can't keep: 'I need to wait for our team to say they're 100 per cent happy. I don't want to push them,' he said.